Choosing a lawyer to defend you in court in a Divorce Action or in a Criminal or DWI / Traffic case may be one of the most important decisions you ever have to make. 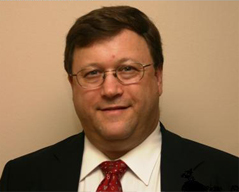 In making your decision whether or not to place you trust in my law firm I’d like to let you know some additional information about my personal and professional background. As native Long Islander I have a deep commitment to the region and the people that have played an important role in my life. I began my career not as an attorney, but as licensed electrician working in my family’s business for many years. It was there working in homes and businesses from one end of long Island to the other that I saw the difficulty and expense that my customers and fellow Long Islanders experienced when their lives were entwined with divorce, criminal matters or facing complicated and intimating traffic offenses. As a result, once I started my practice and to this date today, the mission of the Law Office of Joel R Salinger, P.C. has been to help families and individuals make sense of these legal situations, protect their rights and lower their legal expenses. I am proud of the many achievements that I have had over the past 15 years in helping clients to mitigate legal adversity in their lives and find successful solutions to complex legal matters for the benefit of their families and businesses. 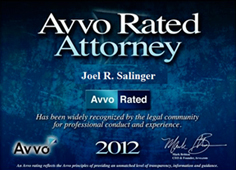 I am proud that our firm has consistently received excellent attorney ratings by independent and highly regarded law review organizations such as AVVO. I am committed to the public good and as a result I have many affiliations with leading state and national law associations, as well as, being an involved participant in important local bar committees which effect how cutting edge legal issues are being dealt with in our local courts. I will take the time to get to know you not only as a client, but as a person? 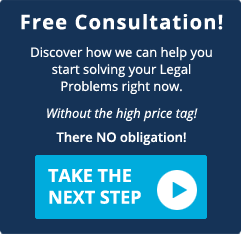 I think the best way to do that is one on one so I would like to offer you a FREE (no obligation) in person consultation to discuss your needs By visiting our website you have taken the first step to obtaining a successful resolution of your legal cares by educating yourself. 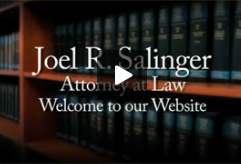 To learn more about how the law firm of Joel R. Salinger can help you please click on this link to complete our form for a free case evalution.